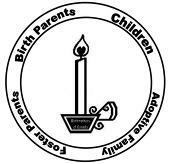 Birthmothers of Canada was conceptualized and began under the initiative of several birthmothers in the Kitchener-Waterloo area on Mothers Day, 2001. We want to support one another as a community and access truly congruent information about adoption in order to dispel the myths and silence around the birthmother experience. Together we come to understand and bring sense to the our world in order to heal and be whole within our identity as birthmothers. A) To offer birthmothers care and compassion in the context of the unfolding stages of each one’s motherhood experiences including the initial adoption decision and child placement process through to decisions and actions involved during the time of reunion or lack of reunion by such avenues as encouraging peer support and support groups. B) To gather information, personal narratives, research findings and other relevant resources, designed to address the impact of emotional reactions and issues commonly faced by birthmothers and make such material available to birthmothers and interested parties. C) To bring to the attention of the public various aspects concerning adoption including those particularly related to the various needs of birthmothers in order that the awareness generated will lead to a better understanding on the part of the public towards birthmothers.